Budgettranslations Translation Agency for Immediate Contact with a Translator. Call Us in Denmark 011 45 7877 5037 for a Free Quote. 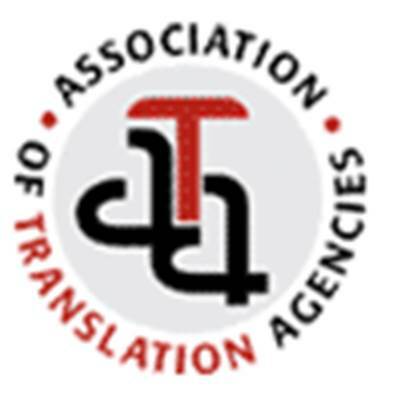 For peace of mind: Budgettranslations is an aspiring member of the ATA. Budgettranslations is practically the only translation agency with its own offices in many countries throughout Europe. For example, we have a translation agency in Copenhagen, Denmark. Our project managers there manage a team of highly qualified translators who are specialized in a number of subject areas. Our translation agency in Copenhagen only works with qualified translators. The advantage of having our own offices throughout Europe is that we know all our translators personally. The Budgettranslations General Translation Agency is more than just a translator database, which is what many translation agencies are. Our project managers at our translation agency in Copenhagen know the areas of expertise of all our translators in Denmark. For example, we work with legal, medical, technical, literary and financial translators and others. There is no text that our translation agency in Copenhagen cannot translate. We will never turn you down and we are accustomed to dealing with urgent projects. Many private clients, government agencies and companies have gone before you in creating a long-term relationship with Budgettranslations Translation Agency. Why? Because our approach works. Therefore, it will probably work for you too! Please contact us for more information or request a free quote. All you have to do is call 011 45 7877 5037 in Denmark or one of our translation agencies in the United States. You can also send your text by e-mail to request a quote. We will respond to your request within the hour on business days. Budgettranslations is your address for the cheapest translation from English into Danish. We are one of the few translation agencies who works with branch offices throughout Europe. Your Danish translation will be carefully handled by our project managers at our office in Copenhagen. Our Copenhagen office manages a team of highly qualified translators who are native Danish speakers and live in Denmark. This means that your English text will be translated into proper Danish for use in Denmark – no outdated language use, and no strange sentence structure or grammar. All our translators are also specialized in a certain area. Our database includes legal, medical and technical translators. You can contact us for translating your English text no matter what the subject is. For example, sports, economics, sustainability, politics, climate, traffic and transportation, history, the royal family, tourism, water sports and others. We are sure your subject is included. In our experience, once you have given your approval, you will have your Danish translation within one business day. What is the price for a Danish translation? Step 1. Specify the language of your source text and select “Danish” as the target language. Step 2. Enter your name, e-mail address and other information. Step 3. Click on “browse” to select the file on your hard drive that you want to have translated into Danish. Then click on “Submit” and your file will be sent to the project managers. If you have more than one text for translation into Danish, you can also e-mail your texts directly to email. We manage an extensive network of certified translators who live in Denmark and are Danish native speakers. Therefore, they know Denmark’s past and present. This ensures that you will never receive a translation from us with words or sentences that are not used in present day Danish. If you think this involves a lot of extra costs, think again. You will receive a price quote from us within the hour. And, you will see that a perfect Danish translation doesn’t have to be expensive. Not only are all our translators native Danish speakers, they are all specialized in certain subject areas as well. Thus, we have legal and literary translators in our database. We also have translators who are subject matter experts in sports, tourism, culture, history, politics, the royal family, EU related matters, media, journalism and many more. There is no subject area in which our translators have no experience.